Gold & Silver 2 tone Jigsaw style bracelet, unique in it styling a great talking point. 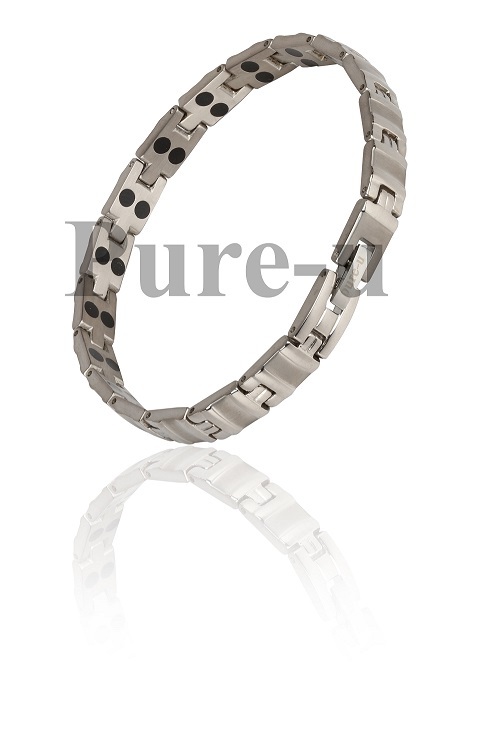 N6 Double Magnets in each link, bracelets are made from Superlight Titanium nickel safe great for sensitive skin. Fold-over Safety Clasps- Neodymium Magnets - North Pole Facing Body - Epoxy Sealed - No Discoloration On Your Wrist.